There is a renewed, and one might venture to say, welcome focus on an issue that has been discussed for many a decade, not just in India but globally as well – how can women in leadership roles play out their parts effectively and effect change in their workplace and society at large. So, one morning, I eagerly keep my appointment with a woman who has flown in from New York to Mumbai to be a vital part of discussions on this ongoing concern, looking forward to hearing her opinions honed by years of global experience. 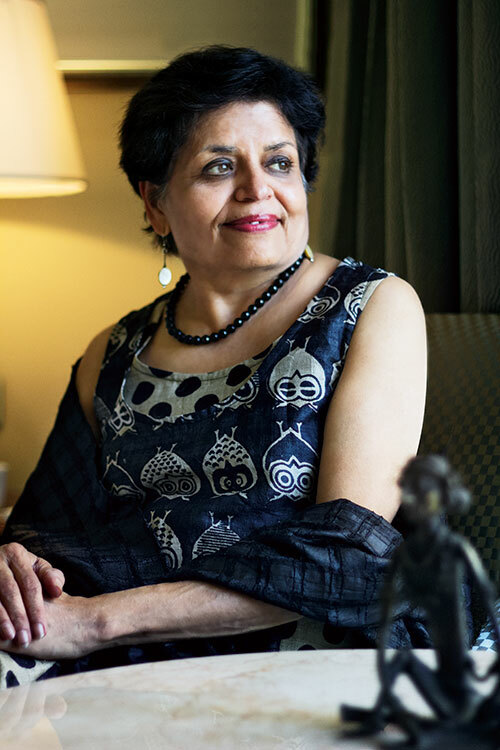 Dr Vishakha N Desai is a former president and chief executive of the New York-based Asia Society and is currently Special Advisor for Global Affairs, Office of the President, even as she serves as Professor of Professional Practice at the School of International and Public Affairs in the Columbia University, New York. In the Indian scenario, there continues to be a contradiction in the way women are perceived and the roles they play in different sections of society. While there is a strong and highly visible female leadership in the public and private sectors, it is combined with low rates of female participation in the formal economy, women’s vulnerability to violence and poor indicators of female health. To take a look at some of the distinctive features of the Indian context that enable or hinder women from rising to the upper echelons of power, The Columbia Global Centres|South Asia, Columbia Alumni Association (CAA), and the Columbia Alumni Association of India (CAAI), in partnership with the university initiative, ‘Women Creating Change’, held a thought-provoking conversation led by a panel of women leaders and Columbia alumni from different sectors. 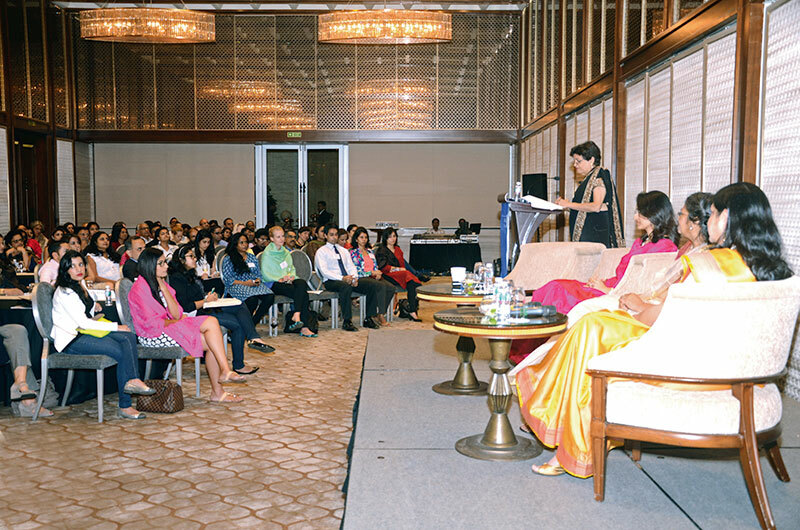 Moderated by Dr Vishakha Desai, the panel had Anjali Bansal, Managing Director, Spencer Stuart, Sheela Patel, Director, Society for the Promotion of Area Resource Centres (SPARC) and Falguni Nayar, Founder and CEO Nykaa.com. Rajashree Birla, businesswoman and philanthropist graced the occasion and said a few words – emphasising how as a company they have always looked out for the interests of women.